Pokémon Go, a killer fitness app, is a disrupter of the peace and the new craze of the century. There are plenty of Pokéstops around the SNU campus, yet it would be nice to have a reminder to tell you to look up from your screens for awhile. Take note that this goes for any other app on your phone that may distract you from the present. In social circumstances, if you are with a friend, interact and play the game with them, communicate! If they aren’t interested, don’t play. Interacting with individuals around you is an essential part of campus life. But, pay attention to other trainers that you don’t know. Have your safezone app readily available for suspicious activity. In spiritual circumstances, if you are in chapel or class prayer, be respectful and do not play the app. This is the lord’s time with you and everyone around you. Interact and immerse yourself in the experience and the lord’s presence. In the journey to find Pokémon, we not only have to pay attention to everyone around, but also pay attention to the ground itself. Watch out for curbs, trash cans, poles and, yes, other people. Look both ways before you cross any street and when you are crossing grass fields, who knows you might run into hidden snakes and bugs, buildings and uneven land. No one wants a bad bug bite, sprained ankle, or mud stain. Although these are possible dangers around campus, there are good things too! There are plenty of hidden treasures around campus. You will find two spots on campus that have three pokéstops you can collect while standing in one place (an awesome place to set lures!). These places are perfect study spots! Also, Pokémon Go is a very motivating app. It makes you want to walk around and join in on the craze that is happening, especially with its easy user interface. It is also interesting how far you will go to hatch eggs. Remember when you leave your house and enjoy some fresh air, always have some sunscreen readily available and water for hydration! However for Pokémon fanatics, the app has yet to reach its full potential and needs improvements, such as things like trading, breeding and a tracking system. From reports, there have been a few efforts put towards fixing these problems. On the other hand, new developments will allow trainers to better connect on campus. It allows users to interact with other individuals who play the game while fighting the gym or walking around. Collecting items from Pokéstops is a great way to network more! This new development will enhance your gaming experience while allowing you to gain relationships with successful and intelligent individuals (some you might have never talked to). What do you think of the new exciting game? Are you following this new social connection? 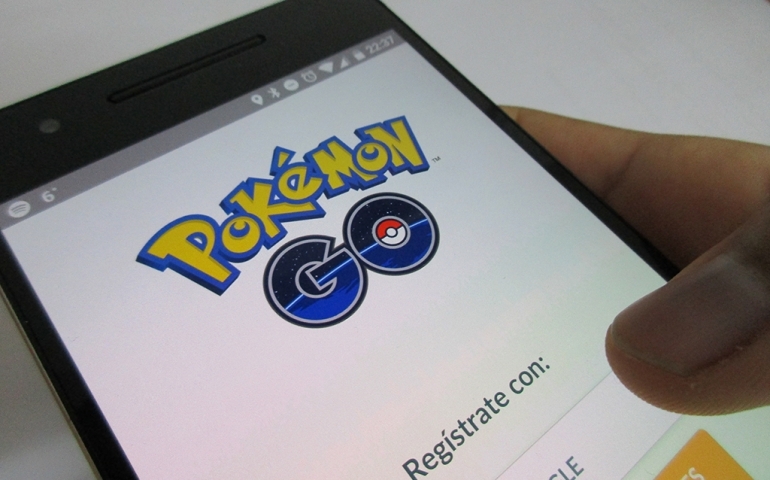 How do you think Pokémon Go will change the world?